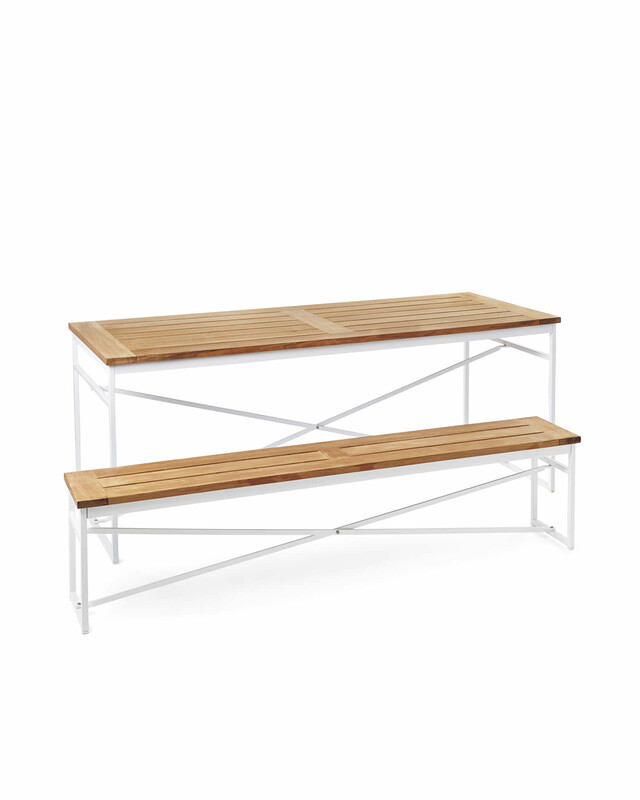 Teak Garden Table & BenchTeak Garden Table &amp; Bench, alt="Teak Garden Table &amp; Bench, "
Print Inspired by the communal vibe of German beer gardens, we’ve designed an outdoor classic. 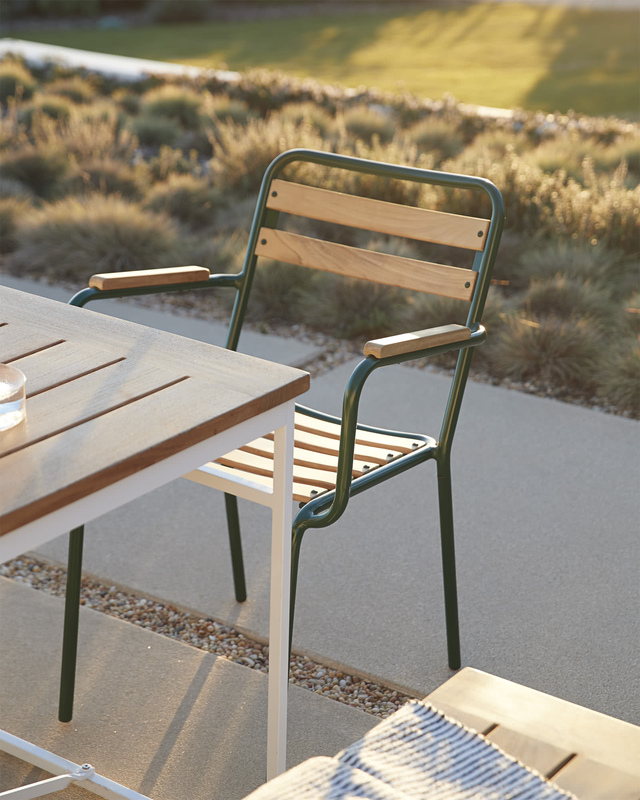 Our streamlined update comfortably seats 6 to 8 – and it’s made of fine teak to last season after season. 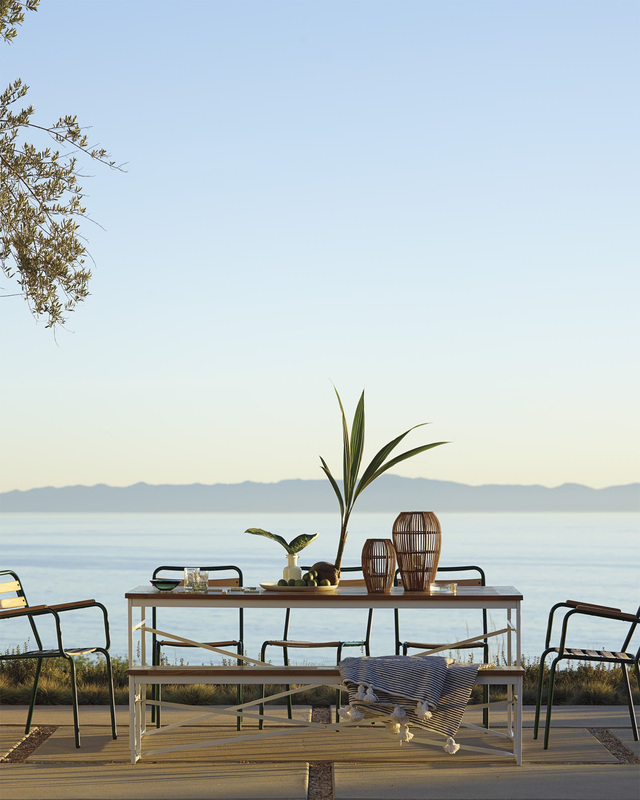 A powdercoated frame (steel to brace the teak top, aluminum legs to make lifting super easy) protects against rust. 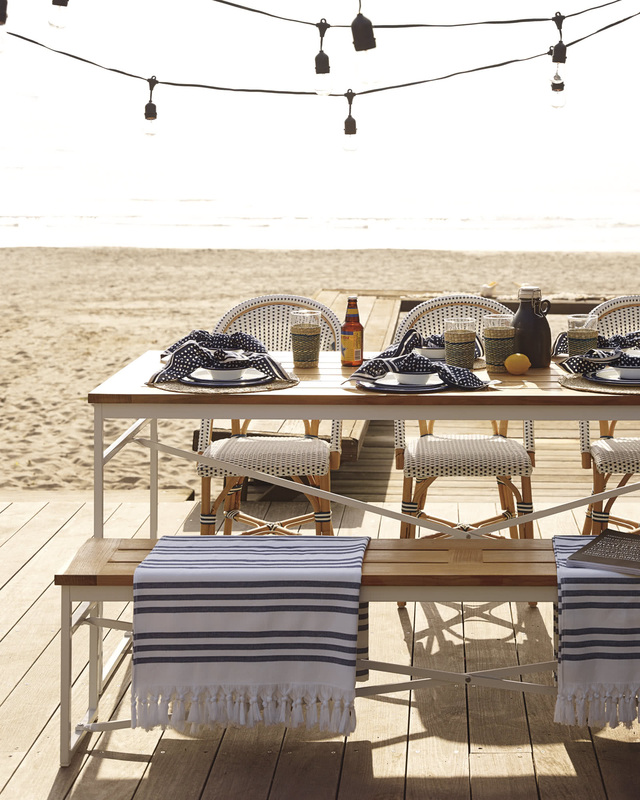 Over time, the teak will take on a silvery grey patina, giving your table a look that's full of character. Matching benches sold separately. Grade A natural sanded teak top. Table top has a planked design to let rain water drain through. Durable construction reinforced with stainless steel and aluminum frame featuring a white powdercoated finish. If left to the elements, teak will develop a beautiful silvery grey patina over time. Top can be treated with teak oil. Table: 76"W x 30"D x 30"H overall. Bench: 72"W x 12"D x 17"H overall. For benches, please allow 2-4 weeks for delivery. This item will be carefully placed at your doorstep by our local delivery partners. Packing materials will not be removed. We deliver within the continental United States. Tables will deliver in 2-4 weeks and arrive via White Glove Delivery. The shipping surcharge is listed next to the product price. Our White-Glove Delivery Service includes bringing the item into your home (up no more than two flights of stairs), unpacking it and removing all packaging, and final assembly. Headboards will be unpacked but not attached to existing bed frames.